Police also said 64,245 licensed arms have been deposited by people at respective police stations in compliance with the poll code. 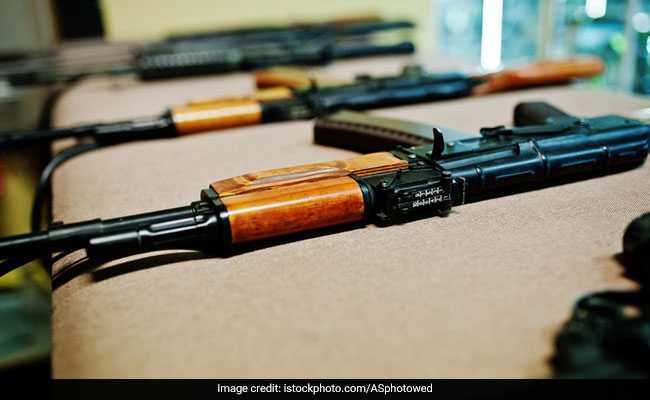 Haryana Police has seized 191 unlicensed arms and 281 cartridges since March 10 when the Model Code of Conduct came into force, Additional Director General of Police (Law and Order) Navdeep Singh Virk said Thursday. Illegal arms were also seized from Yamunanagar, Jhajjar, Hisar and Kurukshetra districts. "In view of these instructions, 64,245 licensed arms have also been deposited by the people in different police stations across the state," he said in a release. Mr Virk said that police has also made elaborate arrangements for free, fair and peaceful conduct of general elections, polling for which will be held on all the ten Lok Sabha seats in Haryana on May 12. Prompt and effective action will be taken against anybody who tries to take law into his/her hands or tries to disrupt the polling process, he asserted.